Alan Bollard and Geoff Bascand contribute to this theme. Alan Bollard – The devastating nature of events in Christchurch has highlighted the importance of risk management and organisational preparedness. This is particularly true for Wellington, a capital city built on hills, flood plains and reclaimed land. Wellington overlooks a harbour connected to Cook Strait, and is bisected by a major active faultline at the intersection of the Indo-Australian and Pacific tectonic plates. In the little more than a year since the first of the major earthquakes in Canterbury, we have seen these events produce highly complex and unforeseen outcomes. One of the least expected outcomes has been the long-lasting nature of the earthquakes through their associated aftershocks. Planning in the face of such uncertainty is a challenge. It is also vital – to ensure that our society is able to continue to function effectively in times of considerable disruption. From the perspective of the Reserve Bank for example, organisational preparedness means both business continuity considerations for the Bank itself, as well as working to maintain economic stability. the lessons from Canterbury that businesses and other organisations can apply in Wellington to build our resilience. Our geography matters very much in Wellington. 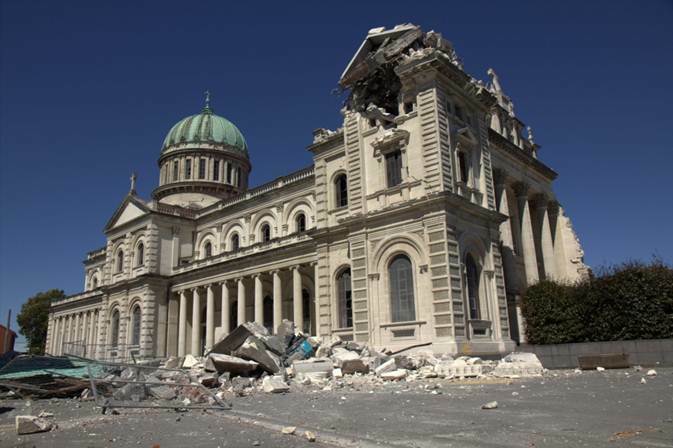 Dr Helen Anderson describes the strongest shaking in Christchurch as like a bulls-eye – fairly regular. Ground shaking in Wellington is different – with strong shakes spread across Miramar, Lyall Bay, Petone, Lower Hutt, Wainuiomata, reclaimed areas and the CBD. The story is similar for tsunami hazards, especially for coastal and harbour areas. In Wellington, parts of the CBD and near the airport are vulnerable to a combining all of these hazards – with liquefaction, tsunamis and strong shaking also challenging in Petone and Wainuiomata. New Zealand’s characteristics as a nation are important too. Being geographically and economically isolated, when significant challenges confront us, it may be with little external financial support. An event like a major earthquake has so many uncertainties, it can be difficult to plan crisis-responses in detail. The focus for institutions should therefore be on lifting general preparedness, competency, leadership, delegation powers – building commercial and personal resilience, in preference to making detailed plans for specific situations, which may never be repeated. The importance of business continuity planning (BCP) is stressed in this section on building resilience. Business Continuity Plans should focus on the needs and constraints that may follow a major event. How might your business’s ability to perform its operations be constrained? What are the immediate and not-so-immediate needs of your people? What are the necessary conditions for the business to perform its operations? Are you testing and updating your BCP and related systems regularly? Location is a pressing issue in regard to planning for business continuity, with many Christchurch businesses forced to re-locate, sometimes more than once. Statistics NZ’s Geoff Bascand provides some insights on this in Leading people (Theme 3 of the Forum). What are the risks to your business if your place of business or your equipment suffers damage from a seismic event? What if your business is legally required to continue providing services? Alan Freeth from Telstra Clear offers some observations in the context of leading and managing during a ‘global level’ disaster. Allan Freeth – Please hold the line caller, the earth is moving! 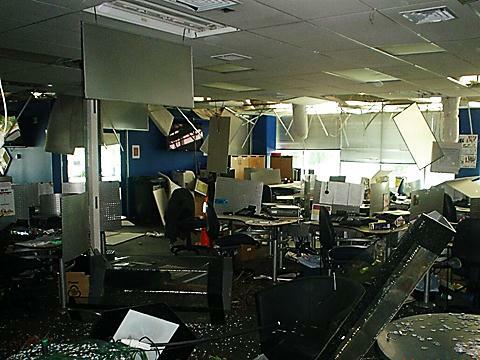 While later declared structurally sound, Telstra Clear’s Christchurch base and call-centre ended up in what was referred to as the Red Zone and sustained extensive interior damage, such that it was deemed inhabitable. 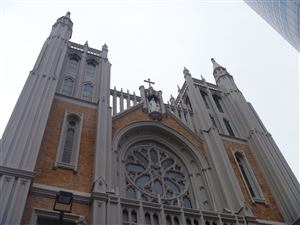 It is still is unoccupied today. We are forever grateful that our staff managed to simply walk away with just one or with sustaining minor injuries. It has only been in hindsight that we have understood how our history and our pedigree helped to make our response comparatively seamless and effective. We have comprehensive disaster-recovery business continuity plans in place for a considerable number of events that could affect our extensive network and business operations. We deal with disasters every week, sometimes every day. It could be rats chewing through fibres, fires, floods, even the odd drunk driving his or her car into our cabinets on the street. So our structure, our crisis communication plans and our communications just swung into action and did what they did every week, every day, every month. However, nothing could have prepared us for the scale and the magnitude of the issues and concerns that we faced, but we were able to adapt very quickly because of our plans and our practice. The first quake came as a practice run for the second, more tragic quake and we have learnt from it. In accordance with our disciplines, we had just finished reviewing the project incident report on our first response to the quake. We had not yet implemented the decisions when the second quake struck. So a lot of that was done real-time. The second quake, like the first, was a multidimensional challenge that cut across many of our BR and BC plans. For the first time on any scale, we had to face the issues of the whereabouts, the safety and the wellbeing of our staff and their teams. By 11pm on the night of the second quake, through a combination of staff contact trees, mobile phone, internet and most importantly social media, we had accounted for all our staff and found them as far afield as Invercargill. We differ from many businesses and organisations in that we have to abide by legislation that binds our service, with consequent obligations and responsibilities. That means our own disaster recovery is the least of our worries – because we are responsible for the disaster recovery of our customers as well. Unlike the message on the plane – put your own mask on before helping others – we are obliged to do both at the same time. And we were up against inconsistent, contradictory, incorrect information. Telstra Clear’s Christchurch call-centre and engineering unit serves customers all around the country, with about 230 staff and about another 100 contractors there. Some 50,000 consumers and business in the region use our telecommunication services. We have literally hundreds of kilometres of fibre and HMC cable. We had 80 cabinets in the affected areas that we were unable to get to. And with power outages affecting vast tracks in the city, the majority were running on battery, lasting anywhere from 3 hours to 3 days. We have several large and vital equipment sites in the city providing essential services. These are, among others, the NZ Defence Force, NZ Customs Service, MAF, Christchurch City Council, Civil Defence, Transpower, BNZ, Quantas – the list goes on. These sites have generators and large diesel tanks that can last from 1-3 days. At lunchtime on Friday 22nd the stopwatch was started on us, and we knew we were in trouble, because of the devastation reported. Street cabinet failure we can live with, but loss of a major switch is Armageddon for us. Yes, we have contingency and redundancy plans for loss of power to a site, harm for employees, or damage to network operations, but I have to say we hadn’t envisioned dealing with all three at once without any information and then dealing immediately with the needs of our customers. The need for contradictory types of management became very clear – you had to be focussed, and strategic, at the same time. The good news was that our network did not fail – it had been built well and it had been well-maintained. Parts of the network did lose power: Three hours is not a long time for cabinet batteries, so we were monitoring every cabinet. Barring thieves, and well-intentioned locals borrowing the generators, we kept the cabinets running. In terms of critical sites, no amount of training or preparation would have been any use; this just became real-time crisis management. If we had lost one of the sites we would have lost almost the entire South Island and it would have taken days or weeks to restore it. By 7pm on the Friday following the second quake, we had just 45 minutes of fuel left for one generator. I was literally seconds away from picking up the phone to the beehive to get in touch with Bill English, when we finally got the agreement from Civil Defence to let us through the cordon to keep that generator going. I don’t believe that Telstra Clear is any different or unique to other network businesses. We have resiliency in our DNA, but you can build resilience into your organisations. The first step is accepting that an event will happen. Even when events happen every week – if on a different scale – we have people who greet those BR plans with scepticism and amusement, but not now. Secondly, you can build fiscal resiliency. Before the second quake we had business customers who believed that our pledges to have systems diversity and backup network operations were expensive and unnecessary, and were simply a way for us to extract more money. Not anymore, though in some cases, memories are short. We believed in the strength of our network design, in its capacity, resilience and diversity. Hundreds of millions of dollars have been invested into strengthening the Telstra Clear network. The quake proved this right. We are proud of the fact that we did not lose the network during either of the quakes, or since. We have learnt that BCPs must be based on reality. They must take account of basic human behaviours and they must assume the very worst. No power, no communications, no food, no water, and then once you have them, you may lose them again. We have learnt that nothing is normal in such a disaster. Plan and train – but ensure that your staff understand that they may have to improvise and think outside the norm to find resolutions. We have learnt to keep leadership local wherever possible, but with clear boundaries and decision-making rights. We have learnt not only to be conscious of the need to swap out teams at the disaster, but to manage and swap out teams behind the scenes. At one point we had over 200 people backfilling the Christchurch team roles and this continued for some months. We have learnt in times of emergency to communicate constantly and repeat messages over and over, and communicate with everyone. If your executive team doesn’t have wide experience across your business, then develop a process where they can learn the job of the man or woman above, below and beside them. If your organisation has business infrastructure or process weaknesses then identify them now and build redundancy while you can. We have learnt that doing the impossible is doable. Smart people can find solutions, but sometimes, only in the face of the inevitable. My engineers told me there was no hope – that if we lost the generators at one particular critical site, we were done. I sent them away for an hour, with instructions to come back with an answer, and they did so. We have learnt that preparation and training is essential. But, in the face of totally unexpected events – common sense, passion and intuition can take you a long way. Know your strengths and weaknesses. If you don’t have Business Continuity Plans, develop them and practice them. Finally, always test the unthinkable. You can never fully be prepared for a disaster like Christchurch, but that is no excuse to not try. Dr Helen Anderson describes building resilience in a particularly Wellington context, next. Wellington has experienced major earthquakes and a destructive tsunami within the last 200 years and is likely to again. Christchurch has taught us that uncontrollable factors, such as time of day, have a dramatic impact on the loss of life, social disruption and the economy. Wellington unique geography will create localised areas of very different damage, such as on steep hills or reclaimed land. I’m going to be slightly doomsday about Wellington…I think we need a wake-up call and if we don’t get it from Christchurch, I don’t know where on earth we’ll get it from. 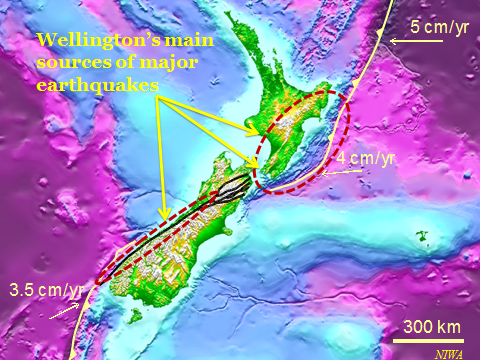 Where our earthquakes come from, the major sources of earthquakes for Wellington, some particular aspects of Wellington’s geography, these affect our resilience and response, particularly in regard to the CBD. There are obvious lessons for Wellington from the Christchurch CBD building collapses. Wellington has around 800 potentially earthquake prone buildings – potentially – as many are yet to be assessed. Wellington City Council assesses only those buildings built before 1976 – because it is assumed that 1976 onwards buildings are ‘safe’. Council is reviewing this assumption. What is an earthquake-prone building? According to the definition in the Building Act (2004), it is something that is less than 33% of the new building standard. That is less than a third of what you would expect to build now. In order to remove that earthquake prone status, an upgrade to just 34% or more is acceptable under the current rules. Notably, some of the buildings that completely collapsed in Christchurch would not have been identified as earthquake prone. This raises a pressing issue – a building or other structure that is not described as earthquake-prone is not necessarily earthquake-proof. Customers and citizens are demanding. They should demand much more reassurance about the safety of our buildings in our CBD. 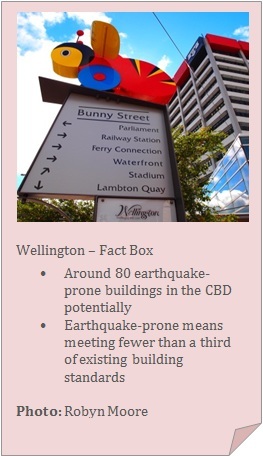 There are 800 potentially earthquake prone buildings on Wellington City Councils list, but that is the minimum. I would like to offer a suggestion: A new rating scheme for buildings – an earthquake rating symbol to be displayed outside Wellington buildings. So customers can make a clear and informed choice. Customers and citizens do need to know and be informed about the safety of our buildings. We know that disaster preparedness is necessary and desirable, but not without cost. Improvements to seismic strengthening through increased safety standards are welcome. However, as Alan Bollard suggests, we also know that the significant costs, not to mention additional complexities in the regulatory environment, have the potential to impede activity. While there is a strong argument to prepare for low-frequency, high-impact events, there is a risk that doing so may be constraining in terms of activity and prohibitive in terms of costs. The assessment of such risks in New Zealand is complex, with work ongoing to more effectively quantify this. Building resilience is about people and communities. 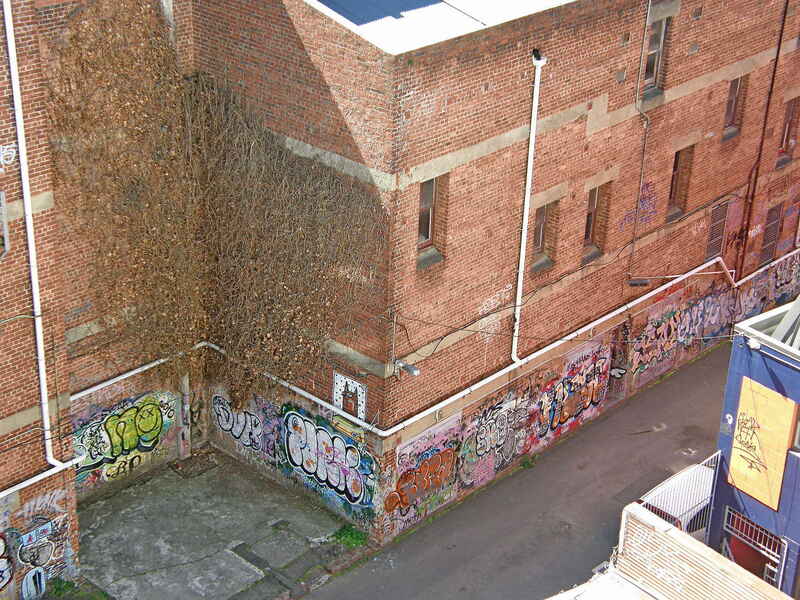 Project Lyttelton is a shining example of what can be achieved with the power of community. Margaret Jefferies, Chair of Project Lyttelton takes up the narrative. Now is the time. You could start building resilience into your community today! A resilient community will move more quickly through the ensuing chaos. But, to build resilience in a community you need to know one another so you can have easy conversations and work things out together. Project Lyttelton uses a number of tools to strengthen its community and hence its resilience. These include: Appreciative Inquiry, Open Space, Time Banking and other money systems, community gardens, shared meals, festivals, farmers market, welcome bags, a newspaper, a newsletter, a website, electric cargo bikes, and most recently, a large food security project has received support, including Crown funding. Now is the time to build resilience. Today we are talking about businesses and structures. But, you are all people, you all have families and it is important to start thinking about your community. Lyttelton is over a faultline and was badly affected in February 2011. Yet, we’re quite a way ahead, compared to other affected communities – because we constantly address the idea of resilience and have built this sense of community. We know how to act and how to respond, to build resilience. Wellington can be affected by many things, not just earthquakes – climate change, tsunamis, financial crisis, you could have the lot. We need to start thinking about how we work together in all of this – and start building resilience into our communities today. So, what can you start doing today in your community to start building resilience? Start thinking not just of your organisation, but think of yourself, and your family and friends too, your community. Start getting to know them. What ideas do you have? Start thinking. People tend to think it is someone up the chain who makes the decisions, but sometimes it is you who has to be the one to take the lead and make the decisions. What is it that you can offer? One woman I’d like to mention is a quilter. She started sewing on a street corner. People crave just to sit down and talk normally. So she sat down outside on the street, and she started sewing hearts. People sat down beside her. She stayed there for days – just sewing and giving away these hearts. Would you think quilting would be related to earthquakes? It is about taking your individual skills and relating them. It’s about connecting too – what are the ideas buzzing in your head and whom are you going to connect with? Dave Middleton chairs the Strategic Advisory Group representing users of natural hazard research, funded by the NZ government and others through the Natural Hazards Research Platform, and leads the steering group overseeing Canterbury University Project, Resilient Organisations. He wraps up this conversation on building resilience. In modern times, the large settlements that we now have the tendency to live in depend on complex and interlaced systems for normal functioning. When disaster strikes, they also rely on these systems for recovery and their survival. Resilience measures how well prepared organisations, either individually or interdependently, are to withstand or recover from external shocks. Yet, little has been done to measure organisational resilience or study how it can be improved. 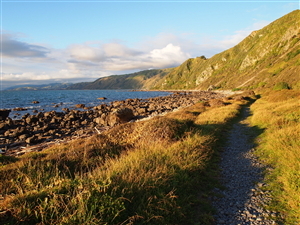 In 2004 a diverse group of researchers secured long-term funding from the Government to investigate resilience in New Zealand. Recognising resilience as a practical matter, the research team included experts in transport engineering, construction and IT security, initially from the universities of Canterbury and Auckland. The research programme was designed to assist New Zealand organisations to recover economic competitiveness after destructive events. The longer the downtime, the less likely a business is to survive and at a tipping point of only a few weeks, many organisations are not able to survive at all. There is also a national interest to focus on organisational resilience in recognition that it is organisations that manage, maintain and operate our infrastructure, create our economy and enable communities to return to normal. The concept of resilience for business is just as relevant for non-profit organisations as it is for-profit organisations. Like Christchurch, the Wellington business scene is dominated by small to medium enterprises, which are shown to be more vulnerable than large businesses to major disruption. Bearing in mind that Wellington’s topology and possible isolation, some immediate issues may well reflect those in Christchurch CBD for service. Some of the research recommendations are applicable to businesses outside the Canterbury area. Organisations should plan for supply chain robustness and duplication, identifying alternative suppliers is a valuable exercise. Mutual aid agreements or collaborations with other organisation to maintain critical supplies could be useful, planning, if a bit fraught, as some of these organisations will be competitors.There are examples in Christchurch of competitors becoming collaborators. Tourism and marketing organisations should plan systems for marketing for the region post-disaster to counteract the expected customer-base erosion. As the reconstruction continues, road networks are likely to be disrupted, so long-term changes in these networks, such as decisions to delay repairing some of these roads down in Christchurch, are likely to have major impacts on some businesses. Up-to-date and accurate information on road network disruptions is needed by all businesses. An interest in plans and capabilities of other vital lifelines will serve businesses well – information, information, information – you can’t have too much. The overall negative disposition of businesses to move back to the CBD within 18 months underlies the importance of decision-makers working collaboratively with businesses. The consultation process needs to go far beyond keeping businesses informed. Small businesses especially need to be engaged and empowered through the reconstruction process in order to improve and maintain investor confidence. Businesses should plan, and in the event strive, to become involved. Actively involved business groups are essential for a successful commercial recovery. The commercial sector needs to support ongoing fact-finding and research in the recovery phase of several years to keep abreast of possibly rapidly changing factors. From the individual businessperson’s perspective there are some resilience fundamentals to attend to. An ability to survive and even prosper in the wake of disaster is dependent on the ability to get the right balance of planning and preparation on the one hand, and adaptability on the other. Disasters throw up winners as well as losers. It is those organisations that have better planning and adaptive capacity balance that win out over their competitors. To build resilience, for people, for organisations – there is work to do. Assume the worst, suggests Allan Freeth. Update your business continuity plans and practice them. Keep leadership local where possible, but have clear boundaries for decision-making. Share information. Demand information – Dr Helen Anderson cautions against being too accepting, when it comes to building safety, in particular. National, as well as local action has been required in the case of the Christchurch earthquakes. Similarly, for other disasters: the Rena grounding in October 2011, Pike River in 2010. There is a need to prepare for and manage the effect of big national challenges and shocks from offshore, as much as the shocks that nature poses for us at home. Arguably, think global – act local is an overused phrase, but it applies. Additional commentary: Dr Helen Anderson, Margaret Jefferies, Peter Townsend and Jacki Johnson. Speakers are identified in bold type. Presenting in the first session on Building resilience, some of the observations by Dr Helen Anderson are relevant here. This section begins with her comments on re-thinking the status of buildings. 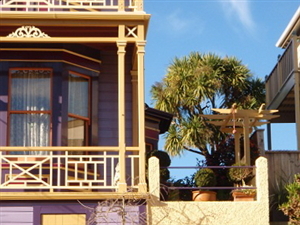 Already, there are changes in the commercial landscape, especially round Wellington’s CBD. These changes are going to be, and already are, driven by insurers increasing their premiums – and linking those increases to the status of the building and its percentage of the new building standards. Insurers, tenants, schools, board members, many of us, are rethinking what it means when a building is not 100 per cent of code in respect to earthquake. We’re seeing a change in the market that may lead to some buildings not being economically viable. This will present challenges, especially for smaller businesses – if you were going to trade-off low rent for the safety of yourself and your staff, maybe you should think differently. Margaret Jefferies is the Chair of Project Lyttelton. This grass-roots community group is working together to achieve their vision of a vibrant, sustainable community. She emphasises the most human elements around rebuilding the future, describing some of Project Lyttelton’s notable successes. We set up the first Time Bank in New Zealand. It is going really well and has played a significant role in rebuilding our future after the February 2011 earthquake. People share their skills with one another – measuring by the hour, not the dollar. And everyone’s time is regarded as equal. 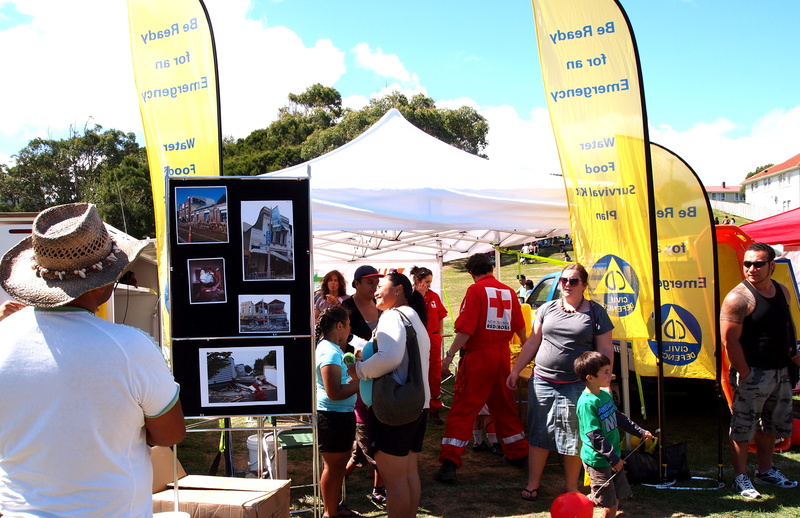 Civil Defence was called into action too – they didn’t normally have a presence in Lyttelton. The Time Bank is about sharing skills, hour on hour. We have a population of 3000, with over 400 people registered. So we have a system that works – we might send out broadcasts saying that we need people to take a chimney down, whatever the need – it is strongly coordinated. We link with other services too. We also have a farmers market. 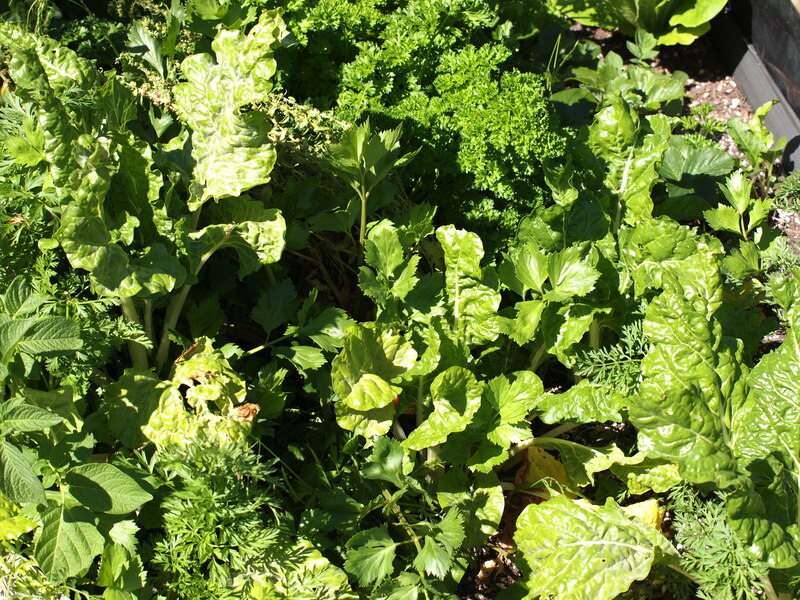 It creates a sense of community, provides a meeting place and provides food. While you may bump into the odd person you know at a supermarket, you can do a lot of your local networking at your farmers market – always building on the sense of community and building relationships. Relationships are key. Welcome bags are another fabulous project, such a tiny thing – but fabulous. Everyone new to Lyttleton gets a welcome bag. The bag is sewn by Time Bank members, with new people coming to our notice through neighbours or real-estate agents. In the bags are useful things like bus timetables, details about the time bank, the community garden, and there’ll be some fresh home baking too. It’s about going to your new neighbours’ door and saying welcome to our community. It touches people. A lot of people ask about online communities, but if a beam falls on top of you, it’s not your online community that’s going to save you, it’s going to be your neighbour. Communications is another important project. We are lucky to have a monthly insert in one of the free newspapers. So we are building relationships all the time, and we are doing it from an appreciative inquiry point of view. We’re not moaning, we are being positive and saying good things about what we’re creating. We have a website, Facebook, all of the usual mediums to easily connect. Just don’t forget the personal touch – to talk and connect. That’s what I’ve loved since the earthquake – all the random hugs. The next thing to mention is local food production. We realised that without connection, no tunnel, the roads cut off, food was an issue – where would it come from? I’m excited that Lyttelton is now looking into improving food security in light of the earthquake. We have Crown funding to set up as a co-op and get the whole community into business together. A key lesson – have a good time while you’re doing it all. You want people to come on-board and people won’t respond to a doomsday thing. They won’t respond if they’re in a state of fear. We have a lot of fun while we’re doing these projects. It’s also important to have compassion and realise that people react in different ways. Even if you have every system in place, people can still feel anxious. It’s not just about torches, batteries, ropes and first aid kits, it’s about the real issues facing business. 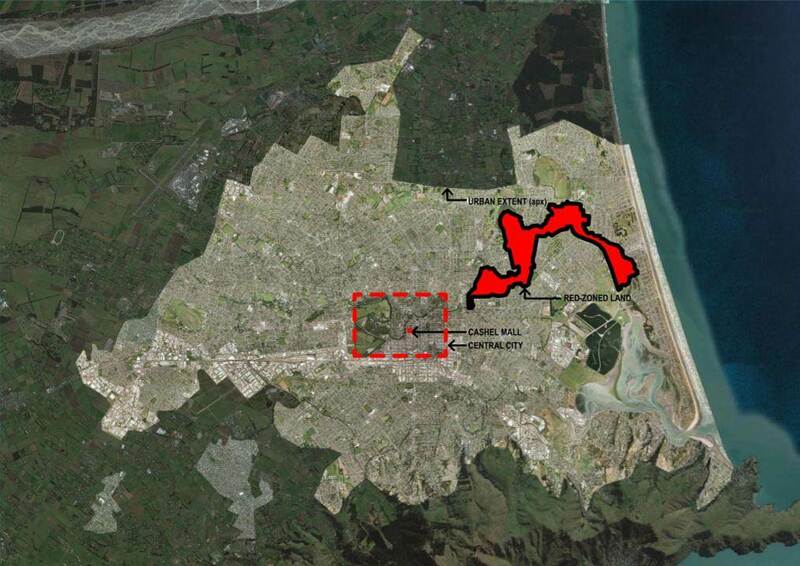 So Christchurch’s future – we have a Draft Plan now, Christchurch City Council presented it. There’s a lot of work being done. I’m confident that we are going to end up with a fantastic offering in Christchurch. It is going to be an iconic city, it is going to be a green city. It will be framed by our four Avenues that our forefathers had the foresight to put in place all those years ago. This will be interspersed with high quality housing, high quality accommodation, high quality iconic retail offerings, and high quality office space. You will all see a completely different central city Christchurch. It will be a city that faces the future, in the same way that 150 years ago our forefathers laid down this city that has looked after us so well in the past. But it’s going to be different, it’s going to take time, it’s going to take an enormous amount of perseverance from the Christchurch community and the rest of New Zealand. 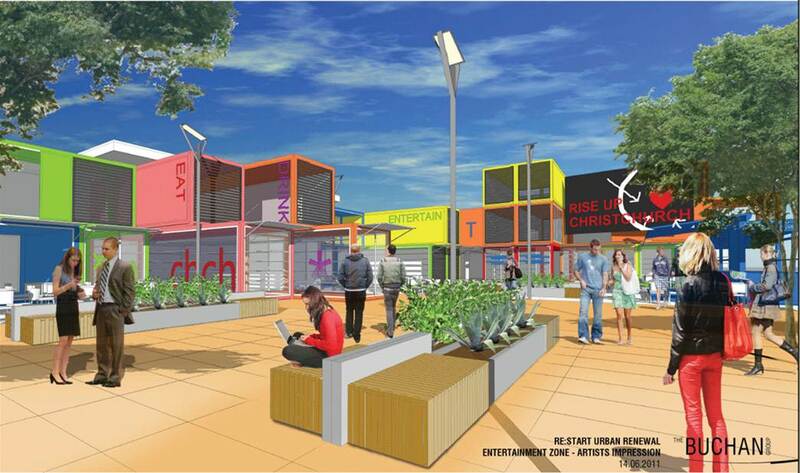 The recently released Central City Plan presents a vision for a rebuilt Christchurch. We are seeing some groups raise concerns. The requirement for higher-spec building is of real concern to developers. Architects think the proposals are too restrictive. I understand that the business community supports the principles of the Plan. Clearly more detail, science and economic work is needed. Nevertheless, the Plan provides a starting point for thinking about the future and building confidence in a new central city. Roger Sutton is CEO of CERA. 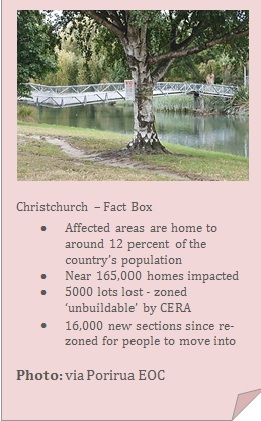 He describes the role of CERA, and what the priorities are for rebuilding Christchurch. CERA – we don’t do everything, we’re a coordinating organisation. We’re the guys who try to ensure that things can happen, that the bits of society that need to come together and make the recovery, can happen. We also have the role of making sure that things like orders in Council get written, because we have this role of government. The CERA legislation gives us all sorts of special powers. We were originally going to be a ‘skinny’ organisation – of 50 people or so. Over time, the job gets bigger and bigger. In particular, all the land issues – the damage to the land is enormous, and we need people managing that. We’ve got ourselves established in an office in the CBD, in an eleven-storey building. I’m getting an office on the top floor, and we’re getting handles fitted from the ceiling just like you’ve got in a bus, that way you know if things start rocking you’re not going to fall over. I’m not. Just talking about it though, maybe when I’m talking to people about the size of the event, it can be hard for people to get a feel for how big was the physical event. A 7.1 magnitude earthquake was equivalent to dropping a thousand of the worlds largest oil tankers from about 500 meters above the ground, onto the ground. That’s the sort of energy released. That’s enough energy to make a pot of tea for every single person in the world. And that’s the hard thing, because nature gives us so much wonderfulness, but in the September 4th quake, and on February 22nd – just in a few seconds, it took away so much, and it’s going to take 5, 10, 15 years to pull it back together again. Talking about our priorities, the first priority is around the land. There’s never been an earthquake event anywhere in the world that’s done so much damage to land as we’ve had in Canterbury. So at the moment there’s something like 6000 properties where we’ve said it’s not going to be economic to rebuild again. Associated with those 6000 properties, we’re trying to bring more land to market more quickly, and that’s not a small job. We’re talking about the fact that we need to keep communities together, that we need to try to engage with communities. It’s very difficult to engage with people, when 6000 people know they have to move, and on top of that there’s another 8000 properties, that are what we call orange, we don’t know whether they’re going to be red or green? And then there are another 3 or 4000 properties in the Port Hills and we don’t know what’s going to happen to them. So, we have these fantastic powers to ride over the RMA and other planning processes, trying to get land to market more quickly. Rather than sitting in Mr Brownlee’s office with big felt pens, drawing circles on maps and saying, “Well that looks like a jolly nice place to have another subdivision,” what we’re trying to do is speed up the process by using what has already been through the conventional consenting process. Land that was, in general, getting held up by appeals put by other developers that hadn’t wanted a particular development to happen. The infrastructure – I could talk for hours about infrastructure. There’s three or four billion dollars worth of work to be done there. It’s maybe a 5, 6, 7, maybe an 8 year programme. Already, we’re doing work at two or three times the rate you would normally see in Christchurch. The scale of it is quite extraordinary. Then there’s the demolition. There’s something like 1200 buildings to bring down in the CBD, that’s about half of all the buildings inside the CBD, and about 600 have come down so far. Someone said today that the Wellington City Council building is at 14% of code – is that true? That’s outrageous, extraordinary, I really think that is extraordinary. Christchurch have really struggled to get their city going again, and their Council buildings were pretty much up to code. Just all the light fittings and that type of thing fell down. The whole notion is that you can run a recovery, as long as your City Council has a response centre. And Christchurch had that. So I guess the question for Wellington is: have you got facilities for your 1000, 1500 staff to work in a week later? Have you got somewhere that is completely up to code? Brick building - Wellington CBD. Courage is needed to make the hard decisions around these types of buildings. I guess I’m just a bit cynical about some of the local bodies’ ability to make hard decisions. It would have been better in Christchurch if Christchurch City Council had more courage around brick and masonry buildings a long time ago. But I don’t remember the last time a City Council in New Zealand did something really gutsy around those earthquake buildings. It’s the nature of local bodies. But the demolition thing is a really, really big issue. We’ve got the CBD cordon down to about half the size it was, but it’s not going to be down completely until roughly April of next year. The time frames are pretty extraordinary. We’re writing a recovery strategy. And one of the key things is around the speed of recovery. We can have a conversation with the people of Christchurch, and say look, the recovery can take 3 or 4 years, and we’ll fill the town up with people from Ireland, Indonesia, the Philippines. We’ll fill the town up and do it in 3 or 4 years. We’ll have maybe 20 or 30 thousand extra workers. Or we’ll do it over a longer time period – 7 or 8 years and it will be a bit flatter, what do you want? They might say “Oh, we’ll have it in 2 or 3 years, please.” And that’s the thinking, educated people. There are two dimensions to the speed of recovery. The first one is how thoughtful you’re going to be in making it happen. Are you going to get proper architects involved? Are you just going to draw lines on map, depending where your mood takes you? How many people are you going to throw at this issue, and to what extent you are going to create opportunities for your own people? Or are you just going to bring a lot of people in – with the associated social issues? That’s a conversation we haven’t yet started in Christchurch. If left up to the pure political process it might just be – lets throw lots of resources at it, really quickly. So one of my roles as the guy who runs CERA, is trying to get the key leaders in Christchurch to start talking to a common theme – we have to make this a calmer, slower more considered recovery and avoid the riskier top-down approach. Getting everybody wanting to row their waka at a more considerate pace won’t be easy. I don’t for a moment say, people who are living in squalor shouldn’t get out of that squalor quickly. Because there are literally thousands of people living in badly broken houses at the moment, and we have to get them out – fast. And if necessary, we’ve got to bring pre-built houses from China, or wherever. We should do that, but we’ve also got to be more considered about how fast we rebuild. The last of what we do is around communication. At the moment, there are a lot of communication messages that we’re not getting out there. So one of my roles is trying to coordinate all the players, to make sure they are communicating with the people, so people have confidence. So they can see the milestones. They can see where we’ve got to, where we’re going, and when we’re going to get there. That’s a key thing. We must get people believing that we are eventually going to get there. We will get there, but it will take longer than 2 or 3 years – it’s going to be much longer than that. One of the guys I hired has come down from Wellington, he talks about the fact that when he came down, he was starting in the afternoon, he came via Uncle Trevor – and his name really is Uncle Trevor – and I’m not really sure where he lives in Christchurch, but Mike got to Uncle Trevor’s place at 10 o’clock in the morning. And Uncle Trevor’s in his 70’s, and Uncle Trevor was still sitting on the end of his bed in his underpants at 10 o’clock in the morning. So when I talk about CERA, about how we have demolition to do, infrastructure to rebuild and all those sort of things, we’re not really doing enough, if Uncle Trevor in a year’s time, is still sitting at the end of his bed in his underpants, at 10 o’clock in the morning. At the end of the day, this recovery is about the people. It’s about giving people a sense that things are going to get better, we are going to be stronger, and that it all has a purpose. So we say – what have we done today to try to make Uncle Trevor’s life better? What have we done to try to make communities that support Uncle Trevor stronger? So they can give support to him. Optimism. Am I optimistic about Christchurch? I am optimistic about Christchurch. I’m optimistic for three reasons. The first reason is insurance. New Zealand is well-insured. Christchurch is really well-insured. We’re lucky that 98% of houses are insured, and their land is largely insured. Businesses largely have insurance – so insurance is the first reason for optimism. The second reason is physically, it’s still a great place. We have our wonderful parks, the mountains are just down the road, they’re a bit further away because of the way that the fault is. The Port Hills are still there, they’re a bit higher than they were – that’s a good thing. But seriously, Christchurch is still very much a great place, physically. The last reason for optimism are the people. Christchurch is very much a community. All the key people have each other’s cell phone numbers. Everybody wants to work together, everyone has largely the same common vision, and I think we’re lucky in that way – we’re not so big that we can’t pull everyone together. Ian Athfield, a prominent NZ architect. He talks about Christchurch, past, present and future – and offers some lessons for Wellington. Anyway, we have a woman called Jane in the office and she’s got a fairly large frame, she’s tall and bears 10 pound babies. She was leaning against the wall in the middle of the office, and Ashley said, “The bloody wall’s moving Jane!” And she said, “You mean like that?” And all of a sudden the building started creaking and the glass started moving right throughout the building. The engineers came straight away and said it was 20% of the code – that’s 10% of the Wellington code – and we were out within one hour. A good example of engineering as a creative art? To talk about the future of any settlement, one must look at the past. Here we have the Edward Gibbon Wakefield plan. 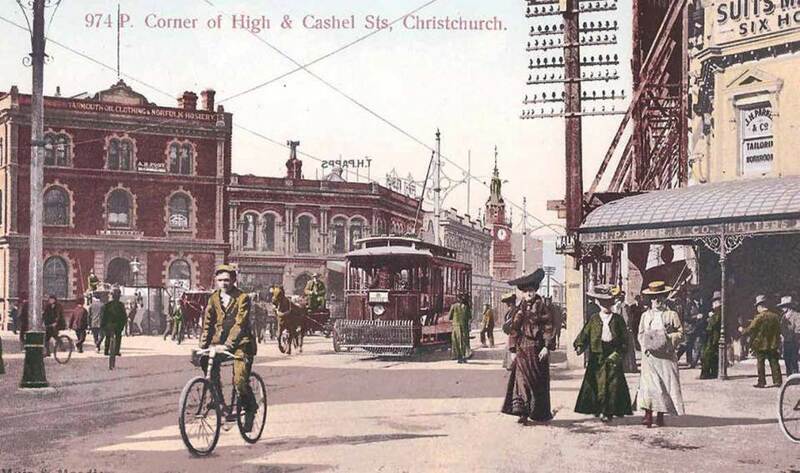 Like many New Zealand cities, Christchurch was designed in Britain. They drew it up on the other side of the world. Luckily, they never ran up against hills. Woodward Street in Wellington was supposed to go out to Karori! But in Christchurch, they could go anywhere, never meeting a hill or a sea, and they just kept on going! So this is a plan, about 1877, and the only thing that happened differently was they put a diagonal through the orthogonal plan drawn in England, mainly to get people from the Port through to the churches and back out to the sewerage system. And if we look at the pattern of growth in Christchurch, we trace it through 1886, 1926, 1946 and 1976, and like most new cities of the world, developed cities, it was based on that suburban model. Car driven, subdivision driven, maximum lot size, set-backs, and based on the nuclear family – 2 adults, 2 children and a guaranteed vote. Christchurch of all the cities, barring parts of Auckland, was one of those places that developed closely along these lines. One of the interesting things which developed along with the suburban area, was the train system. As a kid, I remember going into the square – and the most important things about the square were the seven picture theatres, two milk bars, and the men’s toilet right in the center. And the settlement patterns were based around a transportation system, which assisted the city up until the mid 1950s. Here we have an image of Christchurch, from Cathedral square looking down High street – this is early 1900’s. I can still remember these scenes from the 1950’s, and one thing that happened in 1947. Dad worked for Whitcombe and Tombs. My mum would send us up by tram from Sydenham to get the staff discount. From outside Whitcombe and Tombs, we watched the fire engulf Ballantynes. We saw people going out the windows, and for 10 years I got up every night, dreaming of fires. The last 13 months, I’ve changed those fire dreams to earthquakes, and thank God, in the last month, I’ve stopped thinking about them, and now get a decent night’s sleep. Straight after the February 22nd earthquake, Richard Ballantyne approached us and asked, “Would you be prepared to talk, and work with the owners in the Cashel Mall area?” We knew that they had a start-up program with Buchan Group and Warren and Mahoney, but we felt it was important to sort of talk to people and try to get them to work together for the future of this sort of area. So we spent a lot of time with them, we talked about those areas, we talked about amalgamating sites, and we talked about how we should inform the Council in the new District Plan. And to do that, we started talking about the bigger issues – to make them feel comfortable about the particular issues we were looking at for them. 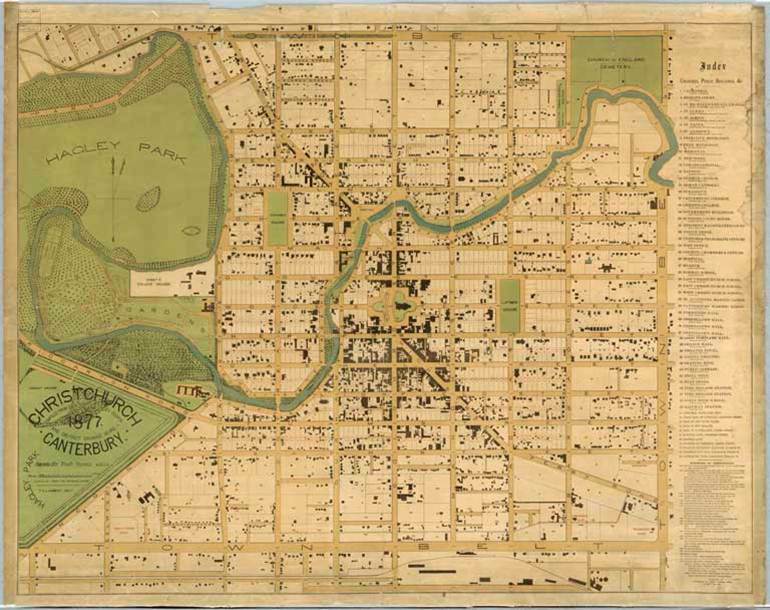 And so we have a plan, with Hagley Park on one side. We said, get rid of the one way street systems, get rid of all that transport through town, and start thinking about how you will develop housing around small ‘pocket’ parks. Think about how those parks can be used collectively by children safely, and how the streets can also become children’s playgrounds. We had the opportunity of 10 minutes to present to Council – and it was like presenting Roman Catholicism to Destiny Church. The city went their own way and produced some pretty pictures. They also produced another set of regulations, compounding the frustrations of people – like permanent buildings, no less than 3 storeys in height, and no more than 7 storeys. The architects went out and did exercises. Finally, after they talked to their insurers, they realised that it’s going to be more expensive to upgrade the buildings than to redo them. So we have a city now that has a density less than Berlin at end of the Second World War. So in Wellington, what are the lessons? We have to look carefully at our heritage structures. We have to look at them quite differently. If we have no business plan for a building, we have no building in the future. We actually have to look at the adaptive reuse. This particular building might have housing in it, on unit titles, so it has to be strengthened on the outside. So that is going to change the way the building looks, and if you want to keep it, then you have to think differently about it. And then those important buildings within our city, which need quite a bit of work to bring them up to code, and one of the realisations for Christchurch is that we are seeing many modern buildings coming down. An example is Gallery Apartments. It’s completely intact, but with very poor foundations and liquefied ground. If it had pile foundations and base isolation, it would remain there, but this is the sort of building that we are going to see come down in Christchurch, and we have so many of them. Around us we have six multi-storey buildings, five of them are now being demolished, and that’s outside the red zone. I think for the future, we have to get our Territorial Authorities talking to each other, working together. Now, before an earthquake. We have to deal with the country, the urban area and the suburban area, all together, as one. We won’t get the answer by dealing with one aspect in isolation. Thank you. Colin James is a political journalist commentator and analyst. He has the last word in this post on rebuilding our future, with the suggestion that we need a more solid core that will lend us better capacity to emerge from seismic shifts. The economy has the advantage that exports are based principally on products and services for which demand can be expected to grow. But that advantage is not an immutable given. To make the most of it over time, we will need constantly to innovate and to reset policy to facilitate or promote an innovative capacity, so that earned incomes rise through higher-value activities. If we don’t do that successfully, we will be more vulnerable to the globalisation of labour and talent and to the congregation of elites in certain offshore cities and locations. We would, as now, need to import human and financial capital to compensate for those who leave and that is a potential cost to social harmony, which is a core ingredient in economic success. If we are to be resilient through the next 15 or 30 years, we could usefully start now to think through the policy frameworks we will need to perceive, develop and exploit human potential. That is, we need to agree what our core is and secure it. We need a strong core to be secure in the new world order that will emerge from the seismic shifts in geopolitics and geo-economics. No one yet knows what that new order will be. Our relationship with China is interesting but still formative. Our relationship with India is formative, but based on shared goodwill, though we take too much for granted from cricket and our shared (though different) imperial history and we don’t study Indian history, heritage and language. It’s those international connections we need, in addition to a strong core, an intelligent flexibility. That is because power shifts often in unpredicted and sometimes in sudden ways. Managing foreign policy, including trade policy, over the next 15 or 30 years is going to require suppleness and skill. It might also drive us close in to Australia (and vice-versa) but it is far too early to guess at that. Then there are man-made and natural shocks. The Rena incident reminds us that it is not only tectonic plates that jolt and holes in the ground that go on fire. At one level there has been a failure of foresight in not updating our subscription to international conventions, a failure to keep the enveloping materials in top condition. At another level, the backbiting and anger in the media and among residents reflect a corrosive lack of trust in authorities, which undermines effective governance and management. That suggests the core is not solid and there is work to do. The flexible, elastic, compressible and adaptable envelope is mostly in place, as the country’s relatively light damage from the great financial crisis indicates, though there is work to do on domestic economic policy and there is other maintenance work needed, as the inadequacy of safety measures at Pike River, the leaky regulatory environment which allowed leaky homes to be built, the permits to build houses in areas of Christchurch known to be at risk of liquefaction and the failure to update maritime disaster conventions. There is work to do on the core. As a people, a nation, we need to be able to constantly innovate, and be able to reset policy to facilitate or promote innovation and capacity. The lessons for Wellington are clear. Build resilience now. Make our CBD safer. Make solid, but adaptable Business Continuity Plans, and test them. Connect people in organisations – and have people who know other people’s jobs. Connect organisations with their local communities. Drive community engagement and be positive about messages, wherever possible. Provide the collaborative and informed environment that will ensure we can make and support the considered decisions that are required – to build a better prepared, more resilient, confident and effective Wellington.